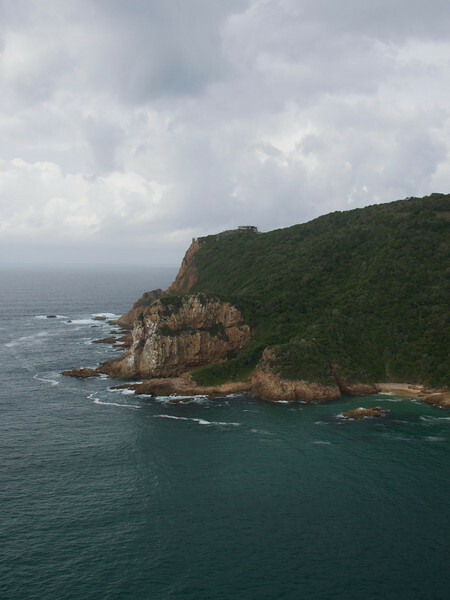 The Knysna Lagoon opens to ocean after passing through two headlands, popularly known as "The Heads". Coming out of the lagoon, this is the right right headland. Together, the two headlands form a narrow and treacherous passage for boats to pass through.